There's a New Year's Eve countdown timer in the upper left-hand corner and you'll notice the party on the patio behind Offerman slowly builds to a roarin' good time. 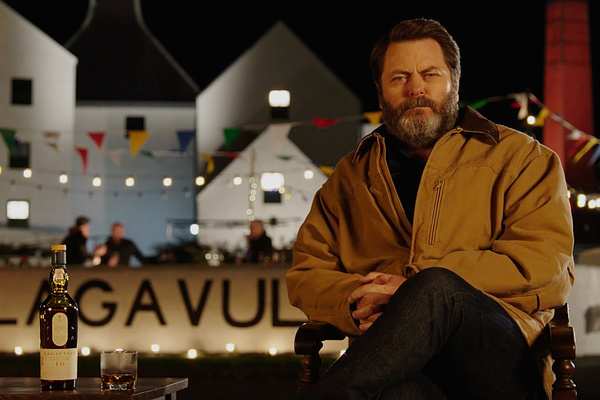 For Offerman though it's all pleasant eyes and slow sips of whiskey until the very end. Consider adding it to your New Year's Eve party this year.